7 Beauty Essentials for College!! Here are some things that I think are going to be essential to have in college!! Good luck to everyone and I hope you have a great year! These are going to be so convenient for late nights when you’re ready to just go to sleep! It is so much easier to wipe off your makeup then taking time to wash it off. MAC Wipes (30 wipes)– $15– So this is clearly a high end option. I will say though that these do leave a little bit of an oily residue on your face. I wouldn’t use this during the day to fix smudged makeup. This is best before going to sleep. I heard some people say that it also makes your skin a little better (like reducing pores). 2) Moisturizing Face and Body Lotion! You’re going to want a good moisturizer because dorm rooms can get cold at night & that’ll dry out your skin. Left: Clinique Dramatically Different Moisturizing Lotion (Face)- $24.50- You get 4.2 fl oz in this product so that’s a lot of lotion for the price! 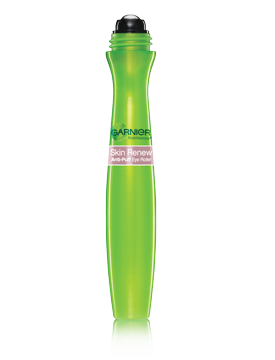 This has been voted for many years into the Seventeen Magazine Besties Beauty Awards as the best moisturizer! It’s really nice because it is absorbed quickly into your skin! Right: Bath & Body Works Body Butter- $15- You get 7 oz of product for that price. These are super thick and moisturizing! The Dark Kiss scent is my favorite (especially for colder weather)! You are going to be outside a lot since you will have to walk around campus to get to your classes. It’s also perfect for the days that you want to study on the quad! Sunscreen designed for your face is important to apply every morning before you head outside. Clinique Super City Block Oil-Free Daily Face Protector SPF 40- $18- This has a bit of a tint to it but it disappears when you blend it in. It also doubles as a foundation primer! This isn’t greasy and is fast absorbing which I love! Your lips are going to get dry from talking to so many new people so lip balm is a necessity! Most lip balms have SPF in them and are just good for moisturizing your lips in general. Nivea Lip Balms– I’m not sure why but these just don’t feel good on my lips. It feels like they just sit on my lips and don’t get absorbed which is really annoying..
Shaking hands, opening doors, and paying with cash will make your hands super dirty. You especially want to make sure your hands are clean before eating meals! 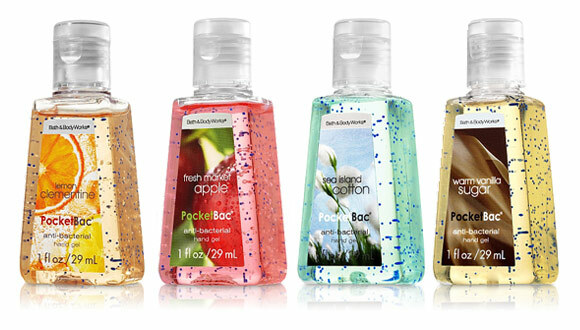 Bath & Body Works Anti-Bacterial PocketBac Sanitizing Hand Gel- $1.50 each or 5 for $5- These are super convenient and smell really good! You get 1 fl oz in each bottle. You can also get a holder (perfect for your purse!) for them and those are usually priced from $0.50 to $5. Perfect for the days when you are too lazy to take a shower or just when you want to refresh your hair. Lol This doesn’t require any water or washing. I find myself using dry shampoos a lot around exam time so I definitely recommend it for that time of year! Don’t worry dry shampoos don’t leave a white/ gray powdery residue in your hair if you massage it in. 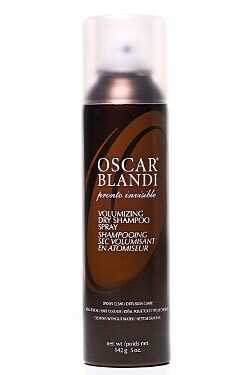 Left- Oscar Blandi Volumizing Dry Shampoo– 1.4 oz bottle (travel size!) cost $11, 5 oz bottle cost $23- This is the high end option. There are a lot of late nights ahead of us.. haha Enough said. Garnier Fructis Nutritioniste Anti Puff Roller (Left: with concealer, Right: without concealer)- $12- I have heard only good things about this product! 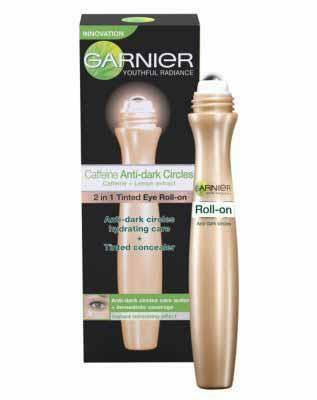 This product is meant to reduce puffiness under and around your eyes. The rollerball apparently feels really nice and cold when you apply the product. The solution contains caffeine in it so it truly does make your eyes look more awake. 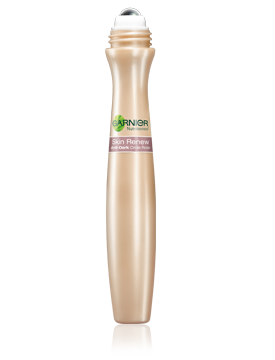 The roller with concealer supposedly has a sheer tint of color that can blend into any skin color. Urban Decay DeSlick Oil Control Makeup Setting Spray (Left) or Skindinavia No More Shine Makeup Finish (Right)- Both 4 oz bottles cost $29 each- These two products, formula and ingredients, are actually exactly the same. You are supposed to spray this on your face before and after you apply your makeup and it will make your makeup last for 16 hours! It takes away any shine or oil for that time period as well! Also, if you have on makeup that looks cakey, then spraying this over it will make it look more natural. 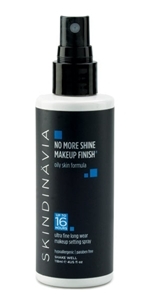 The Urban Decay product is available at Sephora, ULTA, and Macy’s whereas the Skindinavia bottle is only available at www.skindinavia.com. Let me know if you are starting college this year and what your beauty essentials are!! 🙂 Good luck to everyone! REQUESTED REVIEW: Clinique High Lengths Mascara! I was wondering what dry shampoo to get for awhile. Definitely during exam time I only have enough seconds to soap and rinse body but going the quick route leaves my hair looking awful! On those days I do not have 30 mins to wash and dry my hair. Good blog!